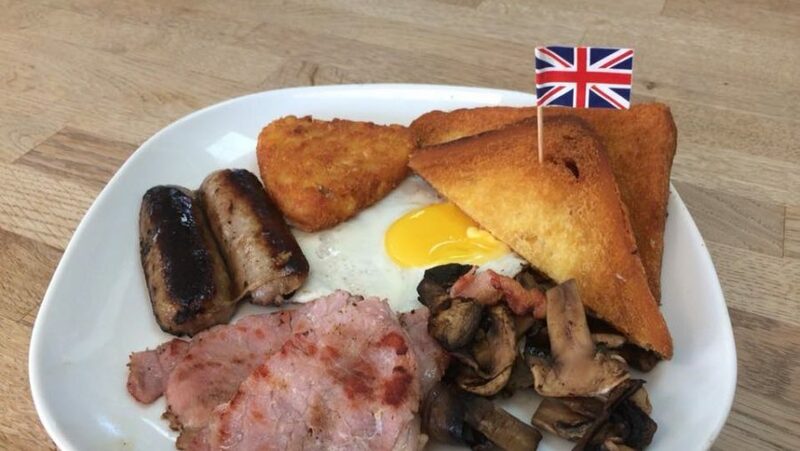 PC update: Putting a flag in a full English is now “racist”. Tell a friend! ???????????????? Station 164 is owned by Candy Merrett, 30, who has owned it for two years. Hornchurch sits in the London Borough of Havering. It wasn’t until the World Cup that people started complaining about the small flag that goes on the food, calling it “racist.” They have the British Union Jack, the Royal Wedding Flag, and the St George’s flags in the restaurant. For her part, Candy says she has no intention of removing the flags. They have deleted the nasty comments. And well they should. Patriotism is what defines a nation, what holds it together in harsh times. Without it, nations crumble. And when the left sees a patriotic display of any kind, they DELIBERATELY target that display. They do it here in the USA, they do it abroad. It is an agenda to tear at the fabric of Western countries. Update: Station 164 is listed as closed on Google as of just three days ago, and according to British news outlets like Daily Mail, the family has been forced to quit. Note: it’s not the first time this has happened. According to Breitbart a WWII themed restaurant was forced to remove a picture of Churchill earlier this year.